Mannes, a six-metre-tall wooden sculpture of a dog, was assembled this week and is now positioned to greet visitors at Assen’s train station. The dog sculpture, which was designed by Rotterdam-based art collective Nio/Serafijn, was created piece by piece at Doornekamp Woodspecials in Waddinxeen.  Mannes will be officially unveiled on the 4th of October, which is World Animal Day. The design of the sculpture was developed in 2016 and has an interactive element: when sensors inside Mannes detect children’s voices and large crowds, the sculpture will release a fine mist of water. 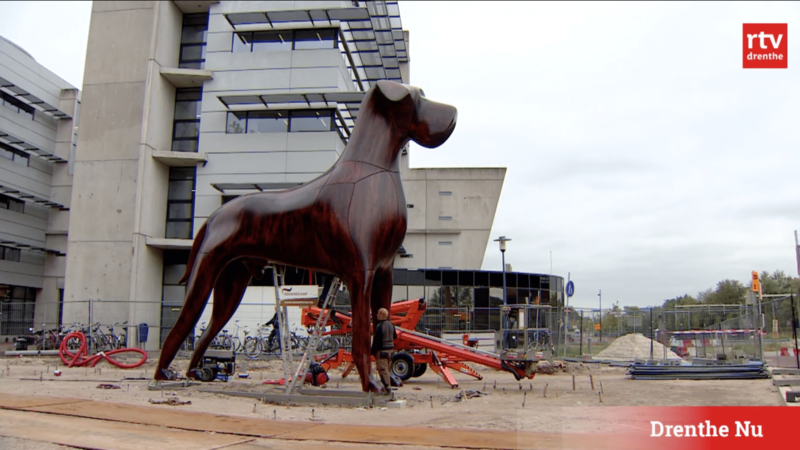 People in Assen who have seen the dog being assembled have mixed reactions to the artwork. Most people are impressed by the beauty of it, even if they don’t exactly understand the connection between the city and a symbolic dog. Some observers told RTV Drenthe and Dagblad van het Noorden that they thought it was a shame that the dog’s hind quarters are facing the city centre, and the dog’s face is aimed at the train station. In March of last year, the fate of the sculpture was briefly in jeopardy when the municipal council of Assen stated that they did not want to accept the art project. The design for the interactive art work was selected by an independent art committee, but the council initially attempted to overturn the decision on the grounds that the lighting and water components would require complicated maintenance and they felt there was too little popular support for the project in the city. The 500,000 euro project, which was contracted out under European public procurement rules, ultimately moved forward and will officially be unveiled in October.